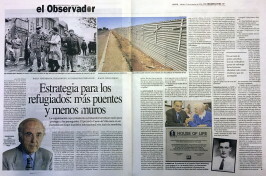 The organization whose president is Eduardo Eurnekian was born to protect the persecuted. 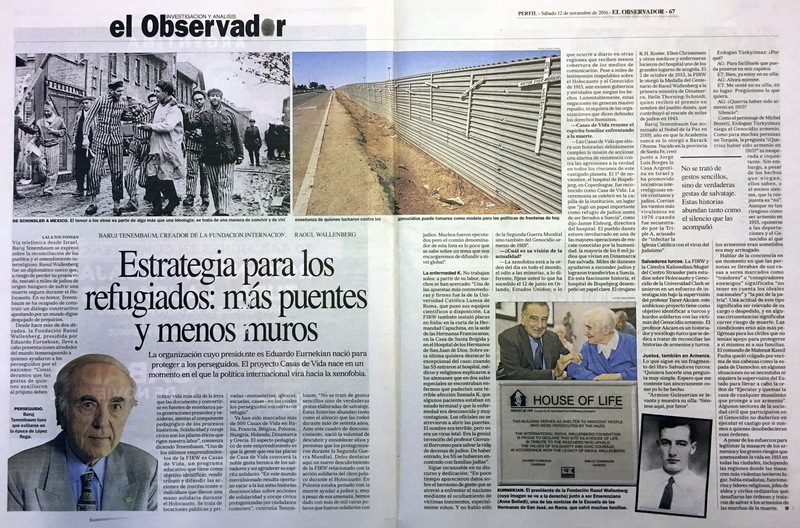 The “Houses of Life” project was born at a time when international politics is turning towards xenophobia. In a telephone communication from Israel, Baruch Tenembaum spoke about the reconciliation of peoples and interreligious understanding. 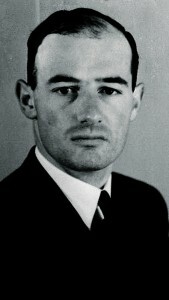 Raoul Wallenberg was a Swedish diplomat who, at the risk of losing his own life, rescued thousands of Hungarian Jews from suffering a certain death during the Holocaust. 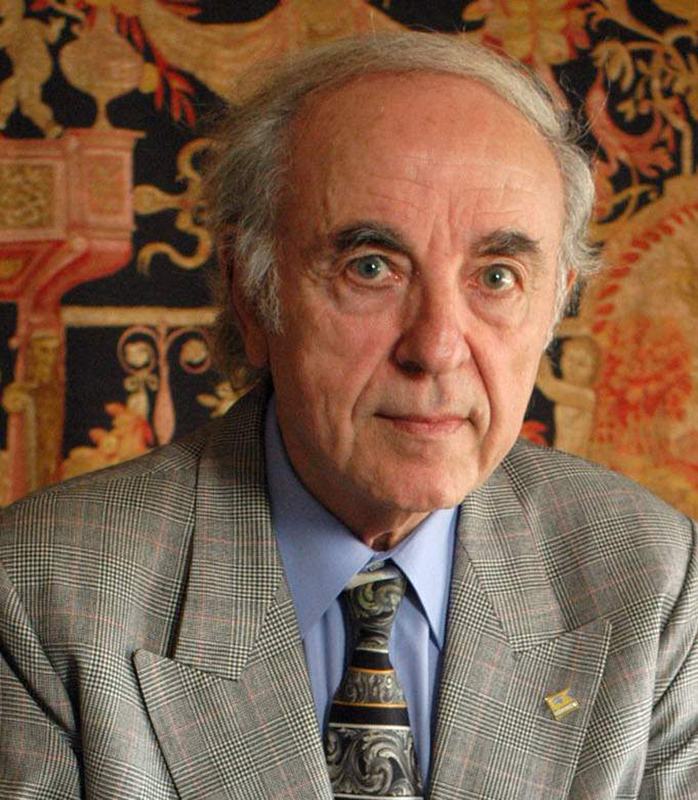 In his honor, Tenembaum has been busy forging a constructive dialogue betting on a dignified world stripped of prejudices. More than 500 Houses of Life have already been marked in Italy, France, Belgium, Poland, Hungary, Holland, Denmark and Greece. 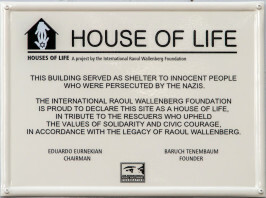 The pedagogical aspect of this enterprise is that people who see the plaques of “House of Life” will know the noble heroic deed of the saviors and thus thank their spirit of solidarity: “In this convulsed world it seems appropriate to bring light on these unknown stories about solidarity actions and civic courage carried out by ordinary citizens,” continues Tenembaum, “It was not simple gestures but real deeds of salvage. These stories abound as much as the silence that surrounded them for more than seventy years. This lack of knowledge gave birth to the will to discover and ennoble sites and people who played a major role during WWII. I must emphasize here a new discovery of the IRWF related to the solidarity action of the Polish clergy during the Holocaust. In Poland it was punished with death the helping of Jews and, in spite of that threat, we have found more than a thousand Polish priests who were in solidarity with Jews. Many were executed but the common denominator of this list is the little that is known on a subject that we will be in charge to spread to the global level”. – What is your vision on the present? – Xenophobia is the order of the day around the world, hatred of minorities, different, look what happened on June 12 in Orlando, United States; Or what happens on a daily basis in other regions that receive less media coverage. Despite thousands of unanswerable testimonies about the Holocaust and the Genocide of 1915, there are still governments and entities that deny the facts. Unfortunately, these denials do not generate massive repudiation, not even from the organizations that claim to defend human rights. 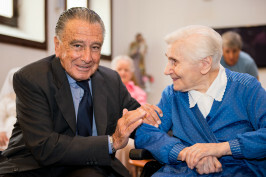 – “Houses of Life” summarizes the family spirit facing death. – The houses of life that are now duly honored fulfill the mission of triggering an alarm of resistance against aggressions to the truth in all corners of this punished planet. On November 1st Bispebjerg hospital in Copenhagen was recognized as a “House of Life”. The ceremony was held in the institution’s chapel, a place that “played an important role as a refuge for Jews before being taken to Sweden”, said hospital director Janne Elsborg. The Danish people were involved in one of the largest rescue operations known to mankind: most of the 8,000 Jews living in Denmark were saved. Thousands of Danes helped to hide Jews and managed to transfer them to Sweden. In this fascinating story, the Bispebjerg hospital played a key role. The surgeon K.H. Koster, Ellen Christensen and other doctors and nurses made the hospital one of the great places of welcome. 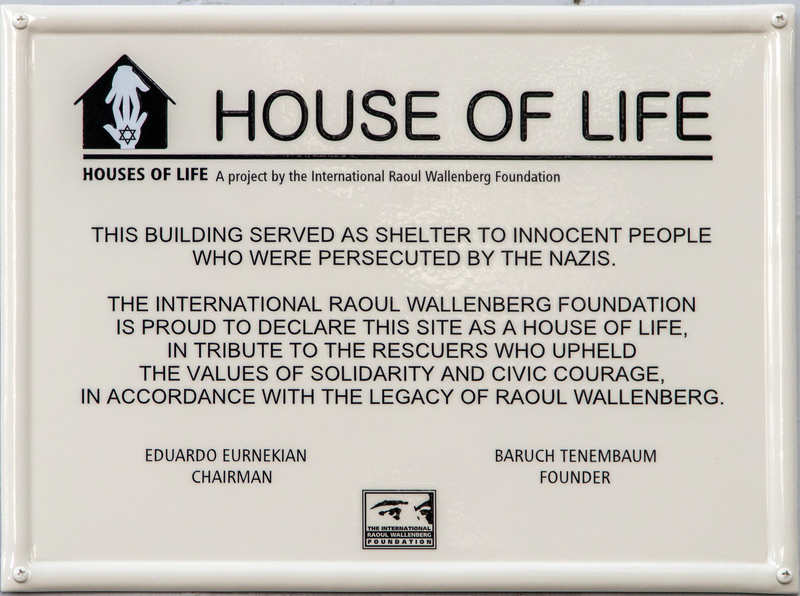 On October 2, 2013, the IRWF awarded the Raoul Wallenberg Centennial Medal to the Prime Minister of Denmark, Helle Thorning-Schmidt, who received the award on behalf of the Danish people, who contributed to the rescue of thousands of Jews in 1943. Turkish saviors. The IRWF and the Kaloosdian/Mugar Chair of the Strassler Center for Holocaust and Genocide Studies at Clark University were united in a research effort under the supervision of Professor Taner Akcam: this ambitious project aims to identify Turks and Kurds who stretched a caring hand to the Victims of the Armenian Genocide. Professor Akcam is a Turkish historian and sociologist dedicated to the reconciliation of Armenians and Turks. “I would like to ask you a very simple question. I hope you will answer me as sincerely as I had. AG: To make it easier for you to put on my shoes. ET: Well, I’m already in your chair. AG: Now look at me. ET: I sat in his chair, in his place. Ask me anything you want. AG: Would you have wanted to be an Armenian in 1915? Like the character of Michel Beretti, Erdogan Türkyilmaz denies the Armenian Genocide. As for many people in Turkey, the question “Would you have been Armenian in 1915?” is unexpected and disturbing. However, despite the facts they deny, they know, or at least feel, that the answer is “No”. Although not as risky as being Armenian in 1915, opposing the deportations and the Genocide to which the Armenians were subjected was very risky. To speak of the conscience at a time when people were taking from their houses to beings marked “traitors” or “enemy conspirators” meant “to take into account the national ideals” and “the peace of the mother country”. Such an attitude meant being relieved or dismissed, and in some circumstances meant risking death. Conditions were even more dangerous for civilians who had no support to protect themselves or their families. Mahmut Kamil Pasha’s command was hung over their heads like the sword of Damocles: in some situations, even the supervision of the State was not required to carry out the order “to execute and burn the house of any Muslim who protects An Armenian.” Some sectors of civil society that participated in the Genocide would not hesitate to execute the punishment themselves for those who disobeyed those orders. Despite efforts to legitimize the massacre of Armenians and the grave life-threatening risks in 1915 in all cities, including regions where the most violent massacres took place, there were statesmen, religious officials and leaders, village chiefs, and Ordinary civilians who defied the orders and tried to save the Armenians from the death marches.